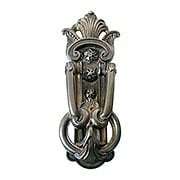 Welcome your guests with elegance by installing one of our timeless antique door knockers. 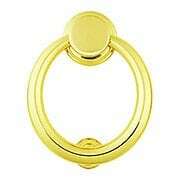 Choose a brass door knocker for classic style, or select forged iron for an Old World or rustic look. 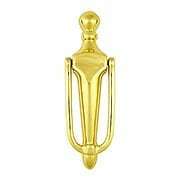 These sturdy and stylish knockers will make a bold statement in any home. 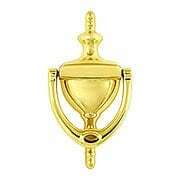 Premium forged brass door knocker measuring 7 11/16" tall by 2" wide. 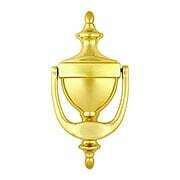 Premium forged brass door knocker measuring 6 5/32" tall by 4 25/32" wide. The Avalon door knocker makes a bold statement. With two classic finishes to choose from, this crisp, clean design is suited for modern homes of any era. Comes complete with matching striker and mounting hardware. 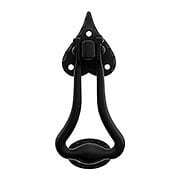 Premium forged brass door knocker measuring 5 29/32" tall by 4 25/32" wide. Solid forged brass narrow door knocker measuring 6 5/8" tall by 1 15/16" wide. 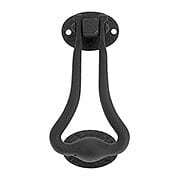 Premium forged brass door knocker measuring 8 5/8" tall by 4" wide. 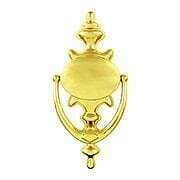 Premium forged brass door knocker measuring 9 1/2" tall by 4 7/16" wide. Solid forged brass decorative door knocker measuring 5 15/16" tall by 3 1/16" wide. 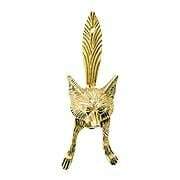 Solid forged brass decorative door knocker measuring 8 1/2" tall by 4 3/16" wide. Forged iron heart door knocker measuring 6 3/4" tall by 4" wide. This rugged iron door knocker is the epitome of Old-World style. Capped with a classic fleur-de-lis, it features hammered edges and a rough textured surface, all finished with a durable matt black finish. The handle is made solid and heavy to produce a resounding "bang" when dropped. 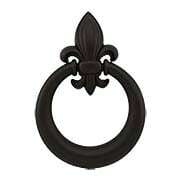 Ideal for large hardwood doors, it is a must-have for Tudor or Chateuesque style homes! 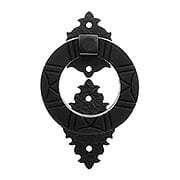 You'll love the rustic charm of this traditional "bean" motif door knocker. 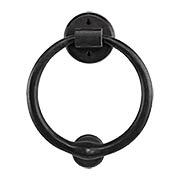 Based on a 1930's colonial revival design, it's made from forged iron with hammered edges and a durable matt black finish. Substantial and heavy, it produces a resounding "bang". Surface mounted. 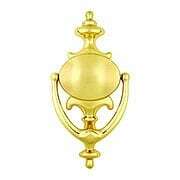 The lively silhouette of this Tudor-style Warwick Iron Ring Door Knocker adds a romantic flair to any door. Unusual and eye-catching, it is hand-crafted from forged iron and features a rough-textured surface and durable, rust-resistant finish. 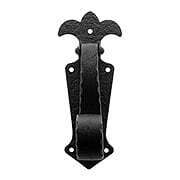 The heavy drop handle produces a solid knocking sound, ideal for thick or large hardwood doors. Surface mounted. 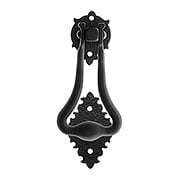 The lively silhouette of this Tudor-style Warwick Decorative Iron Door Knocker adds romantic flair to any door. Unusual and eye-catching, it is hand-crafted from forged iron and features a rough-textured surface and durable, rust-resistant finish. 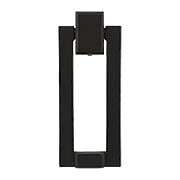 The heavy drop handle produces a solid knocking sound, ideal for thick or large hardwood doors. Surface mounted. 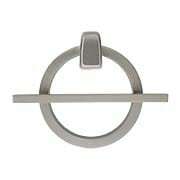 The simple design and smooth disposition of the Davenport door knocker welcomes your guests in classic style. 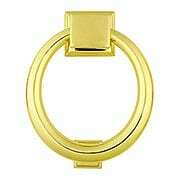 Made of solid brass, it features beveled edges and comes available in two popular finishes. Comes complete with matching striker and mounting hardware. Paying tribute to the iconic symbol of the French monarchy, the Dauphin Collection adds a decorative touch to your entry. Made of solid brass, this simple design features a charming fleur-de-lis and sturdy ring and comes available in your choice of two classic finishes. Comes complete with matching striker and mounting hardware. With a rustic, yet refined presence, our Solid-Bronze Circular Door Knocker suits a variety of home styles. The hand-applied finish ages gracefully, with frequently touched areas exposing the natural shades of the bronze, while other areas oxidize further. The result? An elegant and timeless display of contrasting color variations. Handcrafted from the finest-quality materials, each piece has its own, unique character.